Home Europe Greece: Only 7 migrants returned from Germany. Greece: Only 7 migrants returned from Germany. In August, Angela Merkel and the German media touted her deal to send migrants back to Greece. 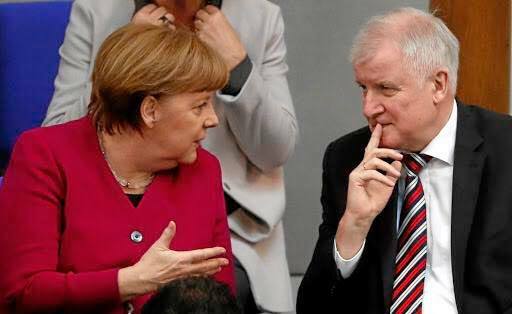 This was the big deal with Horst Seehofer to keep the Grand Coalition together. – To date, only seven of 1,500 migrants that Greece agreed to take back from Germany have been returned, according to data from the German Interior Ministry. In return, Berlin agreed to receive 2,900 migrants from Greece as a part of efforts to reunify families, but so far only 345 have been sent to Germany. * Typical Merkel…and the CSU. A lot of grand talk with little action. Regardless of the results, the V4 Report failed to see any significance at all with “exchanging migrants” inside of Europe. Illegal migrants from Iraq apprehended at Slovakia-Czech Republic border crossing.